Oaklawn Park near Hot Springs, Arkansas, kicks off its 115th live racing season on Friday with a nine-race card and a post time of 12:30 p.m. CT. This year the meet will be contested over 57 days and offers more than $32 million in purses and 31 stakes races worth $8.8 million, all conducted on a Thursday-through-Sunday schedule. 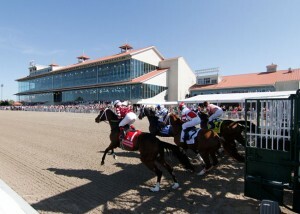 This year the track will extend the meet an additional two weeks through Kentucky Derby Day, Saturday, May 4. In addition to the race’s signature event – the $1 million Arkansas Derby (GI) on April 13 — this year the Rebel Stakes (GII) on March 16 received a $100,000 purse boost to $1 million making the Arkansas facility the only track to offer two seven-figure Derby prep races. 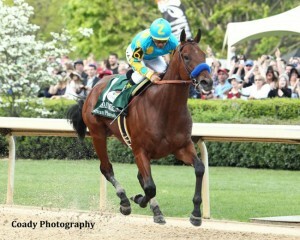 The most notable runner to make his way through Arkansas’ Derby Trail was American Pharoah, who anyone with even a casual interest in horse racing knows became the 12th Triple Crown winner in 2015 by sweeping the Derby, Preakness and Belmont, and was also crowned that year’s Horse of the Year. The Bob Baffert-trained colt used the Arkansas route to the Triple Crown and won the Rebel Stakes (GII) and Arkansas Derby (GI) before reaching racing immortality. The son of Pioneerof the Nile, who will be represented by his first runners as a sire this year, also won the 2015 Breeders’ Cup Classic (GI) at Keeneland. As expected, American Pharoah romped in the April 11 $1 million Arkansas Derby, shutting out the rest of the field by eight lengths. The Rebel offers 50 points to the winner to make the gate in Louisville and the Arkansas Derby winner collects 100 to guarantee himself (or herself) a spot. Fillies looking for May Kentucky Oaks lilies will race for the lion’s share of the $200,000 purse in the March 9 Honeybee Stakes (GIII), the traditional prep for the Fantasy Stakes (GIII), which will be run on April 12 for a $500,000 pot this year, up from $400,000 a year ago. Some of the more prominent names to have come out of the 3-year-old filly prep races in Arkansas include Rachel Alexandra, Blind Luck, Eight Belles, Round Pond, Excellent Meeting, Escena, Lite Light and Very Subtle. Other important races on the 2018 Oaklawn Park calendar include the Oaklawn Handicap (GII) on Saturday, April 13 and the Apple Blossom Handicap (GI) on Sunday, April 14.
Notable trainers who have hung their shingle for the season include Hall of Famers D. Wayne Lukas, Nick Zito and Steve Asmussen. Returning trainers who make winning a habit include Brad Cox, Mark Casse, Dallas Stewart, Larry Jones and Ron Moquette. Six-time Oaklawn leading jockey Ricardo Santana Jr. is back and will be joined by fellow regulars Jon Court, David Cabrera and the returning Calvin Borel. Joe Bravo joins the colony this year from his usual spot in South Florida, as does Jose Validiva Jr. from Chicago and Stewart Elliott returning from a few years in California. Gates open every race day at 11 a.m., except Arkansas Derby Day when they open at 10:30 a.m. For more information, visit www.oaklawn.com or call 501-623-4411. The $150,000 Smarty Jones Stakes, the first of three prep races leading up to the April 13 Arkansas Derby, is the feature on opening day and nine sophomores will race the one mile for the winner’s share of the $150,000 purse and the points up for grabs (10-4-2-1 through fourth) to make the Kentucky Derby gate. The race offers 17 points to the top four finishers (10-4-2-1) toward starting eligibility for the Kentucky Derby. The Smarty Jones Stakes, which was first contested in 2008, honors the 2004 Kentucky Derby and Preakness Stakes winner, who won Oaklawn’s Southwest, Rebel and Arkansas Derby before coming within a length of sweeping the Triple Crown. 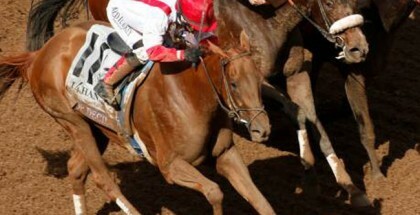 He was also the named that year’s Eclipse Award-winning 3-year-old male. Dwight Pruett’s Gray Attempt is the 5-2 morning line Gray Attempt and is trained by veteran conditioner Jinks Fires. 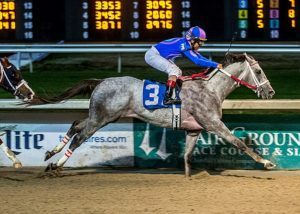 The colt has so far won two of three career starts, including the $74,250 Sugar Bowl Stakes on December 22 at Fair Grounds in Louisiana and makes his two-turn debut in the Smarty Jones. Gray Attempt is scheduled to break from post 8 under regular rider Shaun Bridgmohan and carry 119 pounds. Long Range Toddy and Bankit finished first and second, respectively, in the $400,000 Springboard Mile at Remington Park on December 16, a nice exacta for Hall of Fame trainer Steve Asmussen. 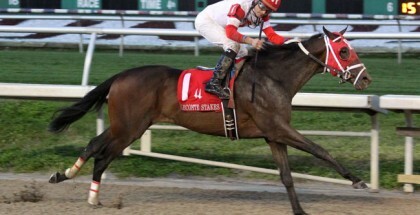 Six Shooter, won the $75,000 Big Drama Stakes Delta Downs on January 15 for trainer Paul Holthus. Super Steed, who is trained by Larry Jones, was fourth as the favorite in the Sugar Bowl Stakes. Long Range Toddy, who is owned by Willis Horton of champions Will Take Charge and Take Charge Brandi fame, is seeking his fourth consecutive victory and is unbeaten around two turns. “He’s just gotten better and better,” Asmussen said of the Take Charge Indy colt. Horton won the 2013 Smarty Jones with Will Take Charge and co-owns Bankit in partnership with Winchell Thoroughbreds LLC. Bankit won the Sleepy Hollow Stakes for New York-breds Belmont Park before the second in the Springboard Mile. The complete Smarty Jones field, from the rail out with riders and morning line odds, will be: Long Range Toddy, Richard Eramia, 4-1; Sleepy Eyes Todd, David Cabrera, 30-1; Super Steed, Terry Thompson, 9-2; Six Shooter, Stewart Elliott, 6-1; Boldor, Ramon Vazquez, 8-1; Forloveofcountry, Joe Bravo, 12-1; Bankit, Ricardo Santana Jr., 7-2; Gray Attempt, Shaun Bridgmohan, 5-2; and Jack Van Berg, Jon Court, 20-1. Mostly sunny skies and temperatures approaching 40 degrees are forecast Friday. Probable post time for the Smarty Jones, which has been carded as the 8th of nine on the day, is 3:52 p.m. CT.